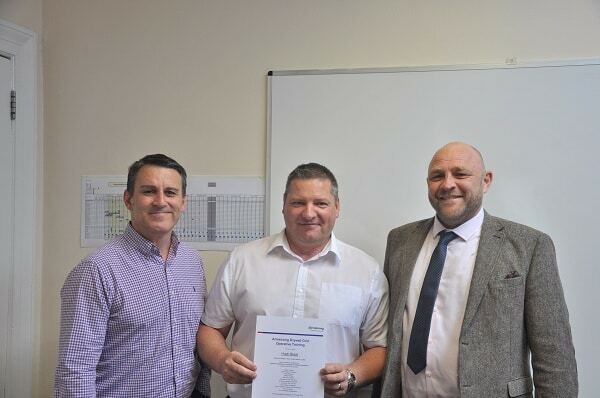 Brian Hendry Interiors Ltd is proud to be recognised as the first company in the UK, to successfully complete Armstrong’s new training workshop on the installation of Armstrong’s Drywall Grid System (DGS) for plasterboard ceilings. A range of topics were covered in the training, educating BHI on the products available, as well as the tools required for fitting and the integrated installation details. Since this training workshop, BHI has successfully completed numerous projects using DGS, including: the Hampton by Hilton Hotel and the new Maryhill Health Centre. These contracts in Glasgow also returned significant programme installation savings to the client. BHI is committed to its on-going staff training programme, providing all employees with the opportunity to gain skills which are advantageous to their personal and professional development. This highly skilled workforce is of equal benefit to the company, ensuring that an excellent quality and professional installation is delivered to every client.